The safety and security of every outdoor gathering is as important as any other element of outdoor celebrations. The best and easiest way to provide for that safety for owners of Napoleon Patioflame stainless steel outdoor firepit is the simple addition of this Patioflame Firepit Safety Screen. 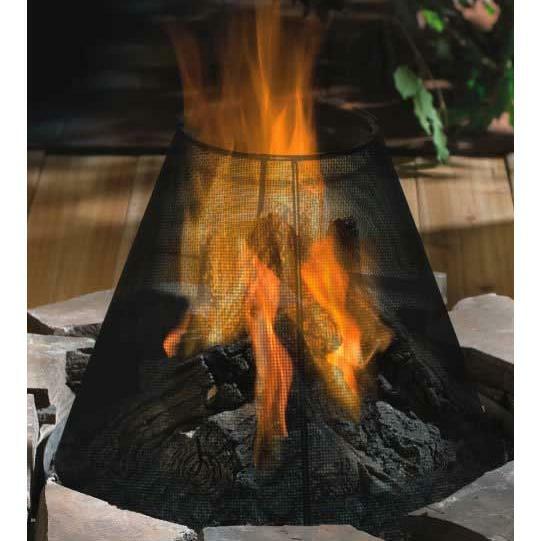 All you have to do is put this screen in place with its simple, black finish, and it will keep sparks and embers in the firepit where they belong. You're not losing out on anything, you're just adding a measure of safety once this convenient safety screen is in place. What are the dimensions of this Napoleon Patioflame screen? This is made specifically for use with the Napoleon Patioflame Stainless Steel Outdoor Firepit and the base measures 19 1/2" inches to fit just inside the lip of this firepit burner.